Much of the discussion in the cell therapy industry today focuses on the complexity of manufacturing and the unique characteristics of each dose. However, the ultimate success of a cell therapy clinical trial rests on the ability to deliver a viable, potent product to the patient. Ensuring this living drug is delivered to the right patient at the right time, location, and temperature is essential to patient safety and product effectiveness. Having a sound logistics strategy is critical to achieving this goal. 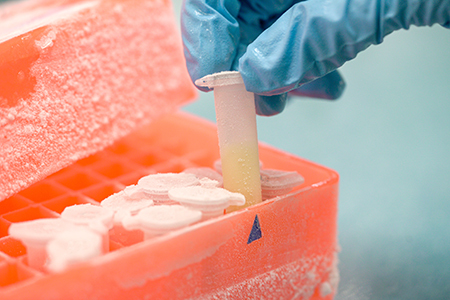 In comparison to small molecule therapeutics and currently available biologics, the logistics management of cell-based material is drastically more complex, requiring ultra-cold temperatures, rigorous quality standards, and coordination between the clinic, biorepository, and manufacturer. Without a comprehensive logistics strategy to manage this and more, the therapy may never get to the patient.